Why i don't care about Alexa Ranks. "Why i never cared for Alexa Ranks"
Alexa is an organization that records traffic rankings of all the sites on the world wide web, using Alexa tool-bars installed on user's browsers who visit the sites, the toolbar collects the site data and sends it to Alexa, which then collates it to compile traffic rankings and make changes in them accordingly.It also gathers information about users age, city, country, marital status if it can find out anything about it from user's previous search queries. If you happen to have a new website or Blog and want to increase the back-links, search engine rankings, want to be seen on SERPs then you have definitely already heard of Alexa, or even might have come across sites giving you tips how to increase your Alexa rank, or to say the obvious even installed Alexa tool-bars on your browsers. 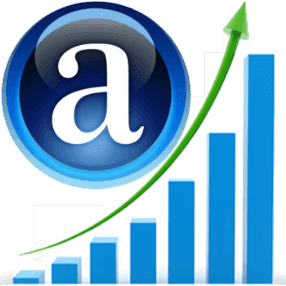 I was never really a big fan of Alexa ranks, its not really genuine or doesn't do justice to many of the sites it ranks, so this post is really about bursting the Alexa bubble after which many webmasters run madly. 1. Small Sample size : The Alexa ranks denote only a small fraction or percentage of all the users that are using the particular sites or use the Browsers on their PC with Alexa Toolbars installed, this is clearly a Thumbs down for Alexa ranks as many people really don't want a toolbar that sends their search data to somewhere on the web and uses their data to find their search habits. 2. The Alexa Toolbar Doesn't come for IE or Chrome : The Toolbar doesn't come for Chrome and Opera and Internet Explorer Browsers, that means the users that use these browsers can't even install these toolbars, so even if they visit the sites using the browsers, they can't add to the traffic rank of that website. 3. Easily Faked by Boosters : Just Google search for "Alexa Boosters" and there are many results which show you how to fake traffic to Alexa using self hosted scripts which give you traffic from across the world using proxy lists, this is a really fail safe thing which gives you a clean measured traffic from all parts of the world with backlinks. 4. Only the Traffic, not traffic quality : The Alexa ranks only measure the traffic, not the kind of traffic, that means that even if you are getting traffic from one city only(or even if the only visitor to your site is only you. ), the traffic rank will increase, no matter what, even if you are not getting search engine traffic, then too the rank will be increasing on the basis of traffic rank, whereas that is not the case with Google Page ranks. 5. No Mobile and Tablets Traffic : Many users these days use internet on their Mobiles and tablets, clearly they don't feature Alexa toolbars so the Alexa ranks don't reflect these users too, that is a big downer and is the final nail in the coffin for Alexa. The Above mentioned points highlight that the Alexa ranks are clearly not worth as much of a headache as before, and are becoming obsolete just like Technorati ranks have become these days. Really nice post. Hits right on the head. But unfortunately most of the advertisers still consider Alexa which is bad..
Toolbars went obsolete a Long time ago, Google got that and stopped its toolbar, as a result we don't have Google Toolbar for Chrome which feels ironical. And i just can't imagine why someone right now would be using a Toolbar like Alexa when they still cry out over petty privacy issues like Facebook ToS, when Alexa steals even more data by not disclosing.